There are really not words for how I’m feeling right now… those of you who know me know that I’ve loved horses my entire life and have always wanted one. Finally, after thirty-three years my dream has come true. Everyone, meet Sue. 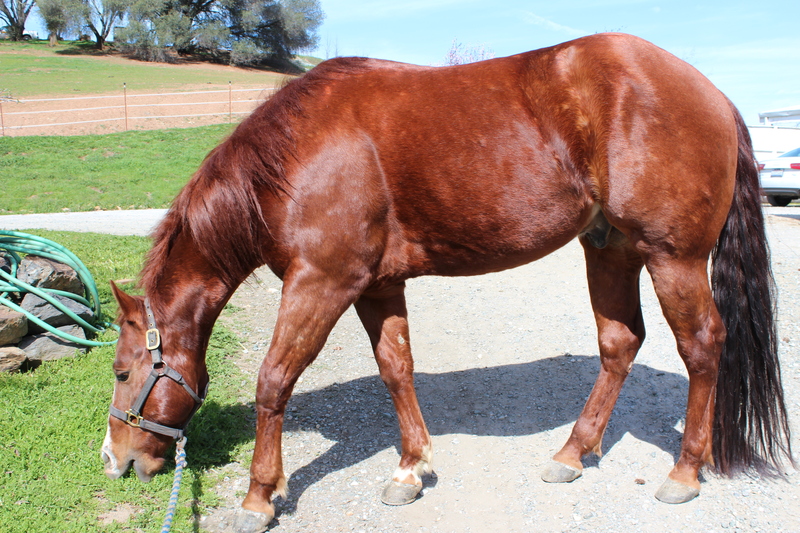 Sue is a four-year-old gelding (that’s a castrated male). Yup, I have “A Boy Named Sue” (for those of you young whippersnappers out there, that’s a reference to a Johnny Cash song). He is such a sweetheart and I’ve fallen completely in love with him. 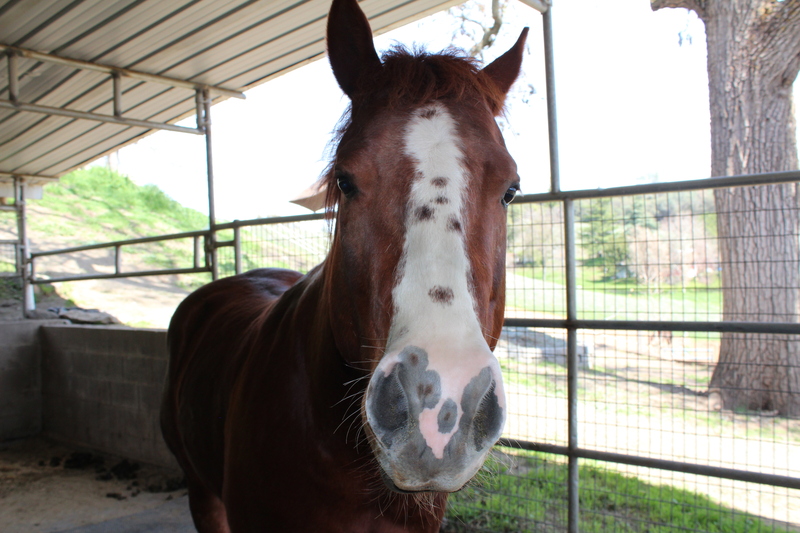 He’s a sorrel (that means a reddish brown) American Quarter Horse and he even has freckles like me! I’ve known for the past few weeks that I wanted to buy him (I’ve been riding him in my lessons since then) and today we went to his pre-purchase exam. Since horses are not cheap endeavors, you take them to the vet before you buy them to make sure that they’re sound. It was a little nerve-wracking because I already love him, but thankfully he’s healthy as a horse! 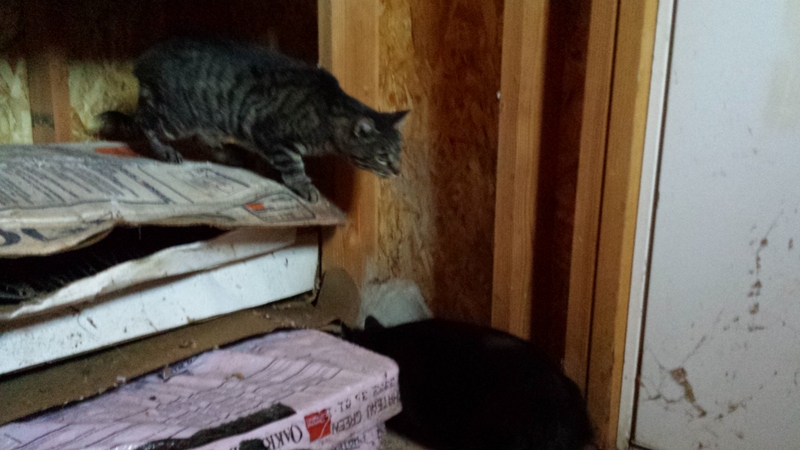 Now I need to go take a nap… I’m exhausted from all the excitement of the day! More pictures to come on Facebook! 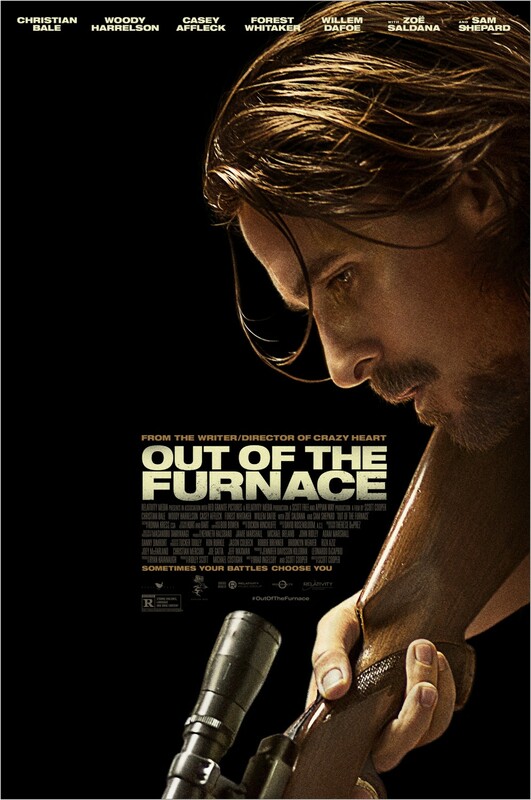 A couple nights ago Mike and I rented Out of the Furnace. I vaguely remember hearing about it, but didn’t remember the story line. It was actually really good! Plot Summary: (from IMDb) Russell and his younger brother Rodney live in the economically-depressed Rust Belt, and have always dreamed of escaping and finding better lives. But when a cruel twist of fate lands Russell in prison, his brother becomes involved with one of the most violent and ruthless crime rings in the Northeast – a mistake that will cost him everything. Once released, Russell must choose between his own freedom, or risk it all to seek justice for his brother. This movie was really good… until the ending. I think they ruined the story with the end, but that’s just my humble opinion. I’m curious if anyone else felt that way. I think that Christian Bale is a really great actor – he was awesome in this role. Woody Harrelson was really good as well… I don’t normally see him as a bad guy, but he did well! I can’t believe it, but it’s finally happening. Everything is in motion for me to check off “buy a horse” from my bucket list. This has literally been a lifelong dream of mine, at the top of every Christmas and birthday list. Our pre-purchase exam is Thursday afternoon… I can hardly wait! This weekend I got my spurs. 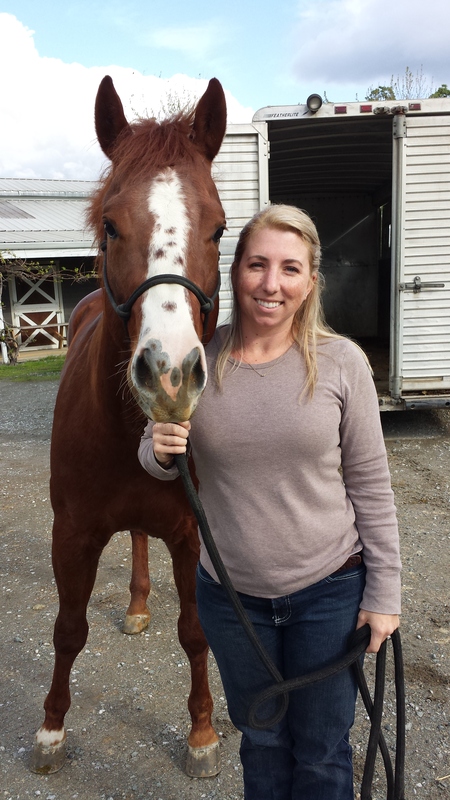 I had been joking that I felt like the baby at the barn – I was the only one without spurs. 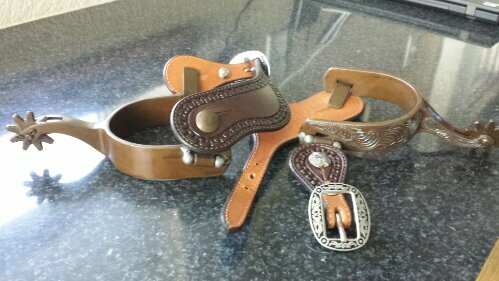 My trainer had been out at Ricotti Saddle Company, saw them, and thought of me. They’re absolutely beautiful! She picked up the dark leather spur straps, which I absolutely love… I think I may aim for all of my tack to be that same (or close) color – it will look beautiful on him! I haven’t revealed the horse or his name yet because I don’t want to jinx it… the minute he’s mine I’ll share with everyone! I took Mom, Dad, Kati, and Chloe out today to meet him… as always, he was a gentleman and loved getting carrots from everyone. He’s got the greatest little personality and I can’t wait to continue to bond with him! Hope you’re all have as wonderful a weekend as I am!